by Black, Clint [Darst.] | Sursok, Tammin [Darst.] | Warburton, Patrick [Darst.] | Damian, Michael [Regie]. 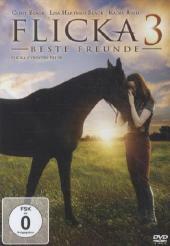 Visual material | 2010 | DVD-Video | DVD | Kinderfilm | 10 - 12 JahreSeries: Flicka 2.Availability: No items available Checked out (1). Visual material | 2012 | DVD-Video | DVD | Kinderfilm | 10 - 12 JahreSeries: Flicka 3.Availability: Items available for loan: SB Hennef [Call number: Kinderfilm 10-12 Jahre] (1).